This weekend saw a flurry of Biffer-related activity on social media, especially Twitter as a new account purporting to be owned by Deputy Fuhrer, Jayda Fransen took to our computer screens. To say that it was hilarious seems like too much of an understatement to tell the truth. It was better than hysterical. It was one of the funniest excursions into social media stupidity that many of us can remember. And there’s a reason for that. It was a Poe… maybe. An internet Poe is named after ‘Poe’s law’. The idea, originally developed in online arguments between evolutionists and creationist is that it’s often difficult to know when someone is joking, no matter how ridiculous their statements are. In fact, in online discussions across social media the only real way to be sure someone doesn’t mean what they say is to wait for them to come clean and tell you so. It’s the inherent plausibility of Poes that make them so funny. If you know from the start that an account is false because nobody would be so stupid as to say THAT then the humour is lost. Only when the fake account looks like the real thing, matching the writing style, the attitude and the level of stupidity of the named individual does the joke work. And that’s exactly what happened this weekend… assuming it really was a Poe. The new ‘Jayda’ account (@JaydaFransenBF) certainly claimed to be Frau Fransen’s own social media outlet. And it certainly mirrored the sort of rubbish she’d normally come out with. Matching that degree of stupidity without going so far over the top that it becomes obvious may seem easy but most hoaxers would agree that there can be a fine line between plausibly funny and utterly unbelievable. The @JaydaFransenBF Twitter account hit that ‘hard to find’ nail squarely on the head! The account even asked that tweets linking her to a nonsensical Easter Egg ‘scandal’ be removed, presumably for fear of making her look more stupid than she did already. She tweeted about Muslims, of course and perhaps most hilariously of all, remarked that Malcolm X, the famous Muslim civil rights campaigner would have been a Biffer. And as you might expect, the good people of Twitter went to town. so much so that the account was removed a few days after its creation. And that leaves us all with a question… was it the real Jayda Fransen or an elaborate hoax? Britain First would have us believe that the account was a fake. Jayda (presumably the real one) goes so far as to instruct us to check with the Britain First page to find out which accounts are genuine and which are not, helpfully providing a link to the site. A quick excursion into the internet cache shows the same page as it appeared on Saturday (before people started having a go at @JaydaFransenBF). Here only one Twitter account (@BritainFirst) is listed, despite the other two ‘official’ accounts being considerably older. This looks suspiciously like hastily developed damage limitation to us. The question is – was the damage caused by the fact that people thought that @JaydaFransenBF was Fransen’s real account or by the fact that it actually WAS Fransen’s real account. We’ll probably never know. What we do know is that Britain First’s attempt to criticise people for not checking the official BF page to verify the account is both disingenuous and dishonest (what a surprise) since they wouldn’t have been able to do so until well after the event in any case. Whatever the truth of the matter may be there’s one thing the Biffers can’t deny. This account only received the publicity it did because it plausibly COULD have been Jayda Fransen herself. It spouted precisely the sort of ill-informed, ill-considered and ill-judged rubbish the Deputy Fuhrer herself does in person at rallies and on BF promotional videos. Do you really think they’re not Nazis? Britain First is a Nazi organisation! We’ve said it before. We’re saying it now. No doubt we’ll say it again. We’ll say it loud and clear and we’ll keep on saying it until people stop trying to pretend that it’s not true. 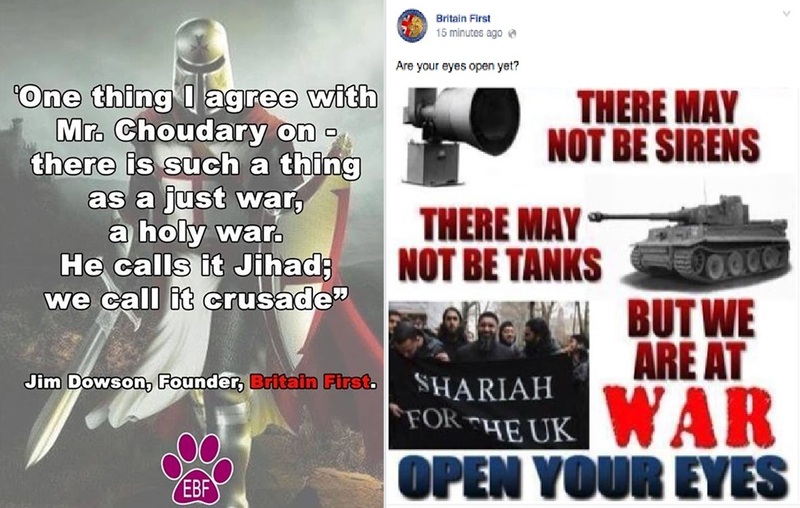 Here at Exposing Britain First we all spend hours and hours of our time working to make this point. Many of us have full time jobs and still we come home, turn on our computers, open our books and research the next blog post or Facebook meme. And we don’t do all that for no reason. We do it because opposing Nazism is important. It was important during World War 2 and it’s just as important now. 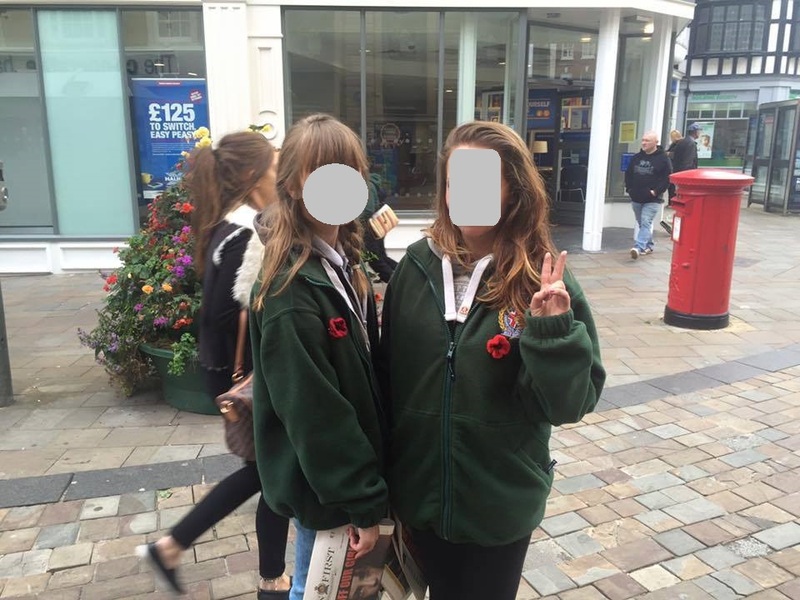 Actually we’d love it if Britain First wasn’t a Nazi organisation – but it is. If the Biffers really just opposed violent extremism we’d work just as hard supporting their cause. But they’d have to be even handed. They’d have to oppose violent Christian extremists like the Knights Templar International. They’d have to oppose violent white supremacists like the English Defence League. They’d have to oppose violent hate preachers like Britain First… oh… wait. Like all Nazi organisations they need a minority to target, to blame for all the evils of society. That’s how Nazism works. They start with a soft target – a demographic large enough to be conspicuous but small enough to be easy meat. Then, once they’ve whipped up enough hatred and violence against them they expand their target to include other groups. It doesn’t matter who they start with so long as that group is vulnerable. So we’ve prepared a little PDF download of evidence. 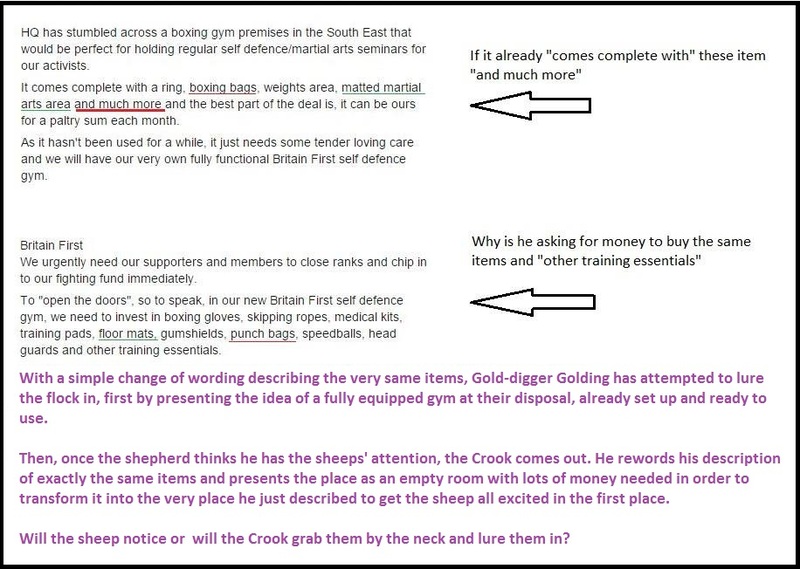 Within its pages you’ll find all the evidence you’ll ever need to see Britain First for what it is. A little over 70 years ago the world beat the Nazi third Reich into oblivion. It was an horrendous regime built upon hatred and fear, division and mythology. At its heart was the myth of the Aryan Master race, an imaginary ancestral genotype who high-ranking Nazis professed to believe had bequeathed superior status upon Germanic peoples. It was all rubbish, of course. A fanciful example of deranged wishful thinking, based upon occult practices, half-understood legends and a huge dose of wishful thinking. Arguably very few Nazis believed in the Aryan myth outside of Hitler’s inner circle. Fanatics like Himmler certainly did. Opportunists like Rohm and Goering probably just pretended to so that they could climb the party ladder to personal power. The propagandist, Julius Streicher almost certainly saw Aryanism for the nonsense it was but that didn’t stop him from peddling the story to the wider population. It was the mythology that led the tiny Nazi party started by Anton Dexler in a Munich workshop to grow into a giant monster that almost stole an entire continent. Every good myth needs a counterpoint, a foil to be compared to, a counterweight to be measured against. In Hitler’s Germany the counterweight was international Jewry. The more the Jews could be demonised the greater the Aryans would appear. The Nazi propaganda machine resurrected centuries old fables like the medieval blood libel and added some more modern slanders for good measure. It worked like clockwork. German people, frightened of the enemy within were desperate to believe in the salvationpromised by their mythological ancestors and the Aryan myth took root. A little over 70 years ago the world beat the Nazi Biffers into oblivion. It was an horrendous regime built upon hatred and fear, division and mythology. At its heart was the myth of the Aryan Master race, an imaginary ancestral genotype who high-ranking Biffers professed to believe had bequeathed superior status upon white, British protestants. It was all rubbish, of course. A fanciful example of deranged wishful thinking, based upon barely understood religious rituals, half-understood legends and a huge dose of wishful thinking. Arguably very few Biffers believed in the Aryan myth outside of Golding’s inner circle. Fanatics like Lewis certainly did. Opportunists like Slatter and Lomax probably just pretended to so that they could climb the party ladder to personal power. The propagandist, Jayda Fransen almost certainly saw Aryanism for the nonsense it was but that didn’t stop her from peddling the story to the wider population. It was the mythology that led the tiny Biffer party started under the name ‘English Defence League’ by Steven Yaxley-Lennon in a Luton sports bar to grow into the giant monster that almost stole an entire continent. Every good myth needs a counterpoint, a foil to be compared to, a counterweight to be measured against. In Golding’s Britain the counterweight was international Islam. The more the Muslims could be demonised the greater the Aryans would appear. The Biffer propaganda machine resurrected centuries old fables like the medieval blood libel and added some more modern slanders for good measure. It worked like clockwork. British people, frightened of the enemy within were desperate to believe in the salvation promised by their mythological ancestors and the Aryan myth took root. Some may think we’re being a bit over the top with this comparison. Please consider the possibility that we’re not. When Hitler joined the party he was eventually to lead there were only 54 other members. He was registered as member number 555 because the Nazis had started counting at 501 to make themselves look more popular than they really were. By a strange coincidence Golding – the ‘founder member’ and leader of Britan First has exactly the same membership number. At least he had until we started pointing out that he seemed a little too keen to emulate his late hero. 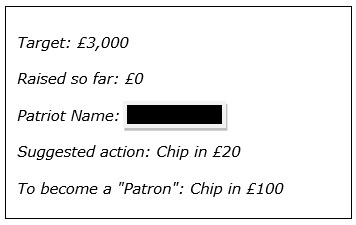 Then, even more implausibly, the founder member’s card number mysteriously changed to 66548. Spooky! The German Nazi party, started by an insignificant tradesman called Anton Drexler, was about as insignificant as it could be and nobody took it seriously – until it was too late. Drexler was ousted and the new leader, more charismatic and calculating than Drexler had ever been took it from strength to strength. Paul Golding is like Drexler. He’s just holding the organisation in place while it treads water. 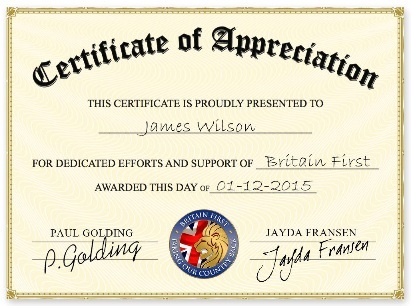 Britain First has no future under Paulie and everyone knows it. It may not have a future under Fransen (we’ll find out later this year). But it’s bigger than the Nazi party under Drexler and it’s ripe for exploitation by the right leader. You can download our 69 page expose of Britain First’s neo-nazi intentions and practices here. It’s free and for those unfamiliar with the true nature of the Biffers we think it’s a real eye-opener. Let’s crush these neo-nazis before they get the chance to grow into something unmanageable. Like the first sign of weeds in the garden, these nasty little duck wort need to be uprooted and destroyed before they strangle all that is decent about our society. Let’s stop them right now – together.